President Obama is taking action to launch My Brother's Keeper a new initiative to help every boy and young man of color who is willing to do the hard work to get ahead. For decades, opportunity has lagged behind for boys and young men of color. But across the country, communities are adopting approaches to help put these boys and young men on the path to success. As part of the initiative's launch, the President also established the My Brother's Keeper Task Force to review public and private sector programs, policies, and strategies and determine ways the Federal Government can better support these efforts, and how to better involve State and local officials, the private sector, and the philanthropic community. 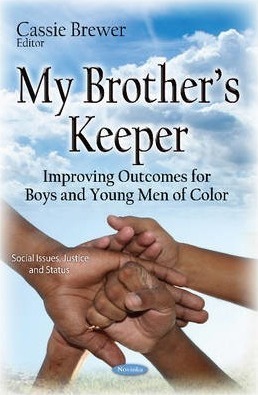 This book includes key indicators that will provide a comprehensive view of the environments and outcomes for boys and young men of color and their peers. Preface; Fact Sheet: President Obama Launches My Brothers Keeper Initiative; My Brother's Keeper Task Force Report to the President; Fact Sheet: President Obama Applauds New Commitments in Support of the My Brothers Keeper Initiative; Index.